A legacy of colonialism has left lasting and detrimental impacts on Canada’s Indigenous population. Across Canada, Indigenous people have lower incomes than the general population and more often live in housing that is unaffordable, overcrowded or in poor condition. They are also twice as likely to have been among “the hidden homeless” at some point in their lives. In Ontario, the low-income rate for individuals with an Indigenous identity is 24%, with an estimated 23,000 renter households in core housing need. This housing shortfall is affecting health, educational attainment and economic success. It’s clear that more needs to be done to address the housing needs of Canada’s Indigenous communities. On the heels of the provincial election and as we head into a federal election year, this is a critical moment to engage with our governments and advocate for change. 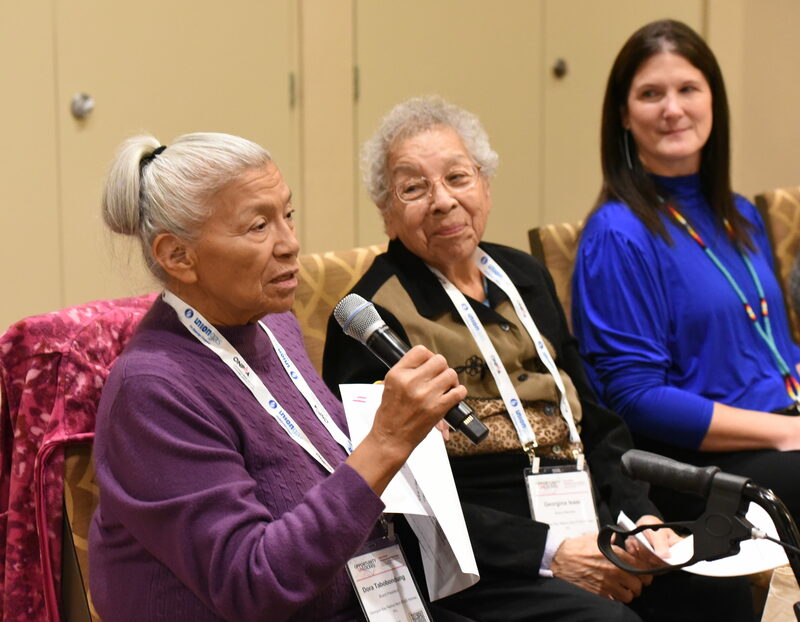 On Thursday, October 25, ONPHA’s Urban Aboriginal Housing Advisory Committee (UAHAC) hosted a full-day Indigenous Housing Provider Gathering as part of the 2018 ONPHA Conference and Trade Show. Over 50 people attended, including representatives from government and provincial and national sector organizations, as well as Ontario’s Indigenous non-profit and co-op housing providers. 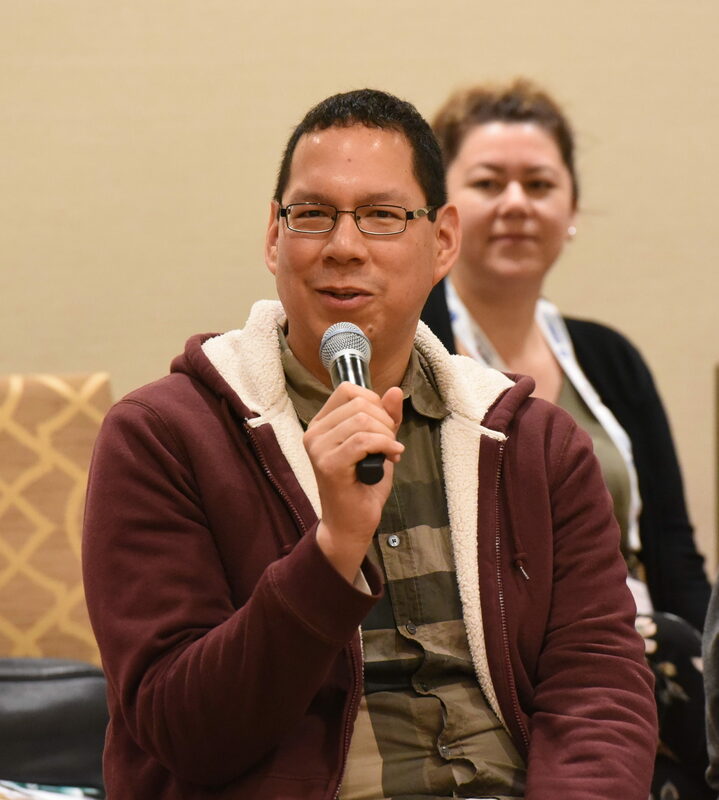 Participants heard updates about the National Housing Strategy and the advocacy campaign that the Canadian Housing and Renewal Association’s (CHRA) Indigenous Caucus is undertaking around a For Indigenous By Indigenous National Housing Strategy. We continue to wait for further updates on the draft provincial Indigenous Housing Strategy that was co-developed by representatives from Ontario’s Aboriginal housing providers and the previous provincial government. Advocate to politicians now and ahead of the 2019 federal election around the need for housing strategies that reflect the unique needs of the 86% of Ontario’s Aboriginal population that lives in urban and rural areas. The need for urban and rural Indigenous housing strategies was a call echoed by politicians, panelists and participants throughout the Conference. At the 2018 Annual General Meeting, ONPHA’s membership unanimously adopted a resolution championing national and provincial Indigenous housing strategies put forth by ONPHA’s UAHAC. ONPHA will work with its established UAHAC to call on the provincial government to commit to implementing the provincial Indigenous Housing Strategy that was co-developed with Ontario’s Aboriginal housing providers through the Indigenous Housing Strategy Engagement Table. Through passing the resolution, ONPHA is formally recognizing that housing is an integral part of reconciliation with Canada’s Indigenous peoples and that the non-profit housing sector has a strong role to play in responding to the Calls to Action put forth by the Truth and Reconciliation Commission of Canada. ONPHA looks forward to working closely with our sector partners, the UAHAC and the entire ONPHA membership to champion provincial and national Indigenous housing strategies and to act on the advocacy and research items identified at the 2018 Ontario Indigenous Housing Gathering. For more information on the UAHAC and ONPHA’s new resolution please get in touch at policy@onpha.org.